It’s time for Food Quotes again! “Mise en Place” is usually applied to cooking, meaning to have all your ingredients prepared and within reach before you start cooking. It makes the whole process easier and smoother. 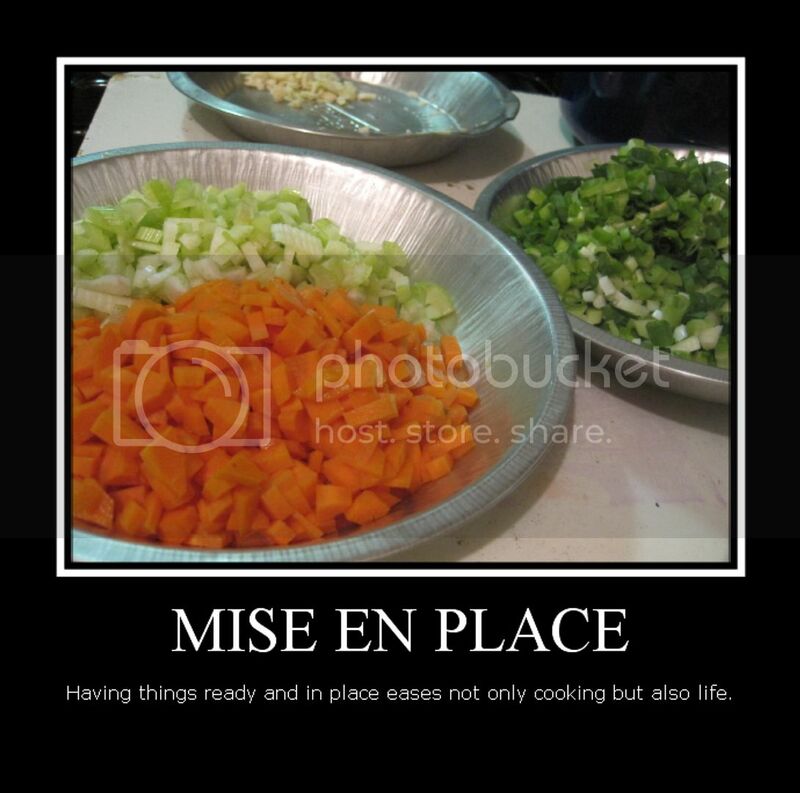 The concept of “mise en place” can be used in all areas of life though. Whether you’re organizing your closet, scrubbing the bathroom, planning a party or setting up a five-year-plan, no task is as daunting or impossible when you have everything in place and ready.